Russia’s higher education: Tipping point? In this week’s Smart Societies blog we look at Russia’s higher education challenge. Our article focuses on Russia’s renewed efforts to internationalise its higher education sector. 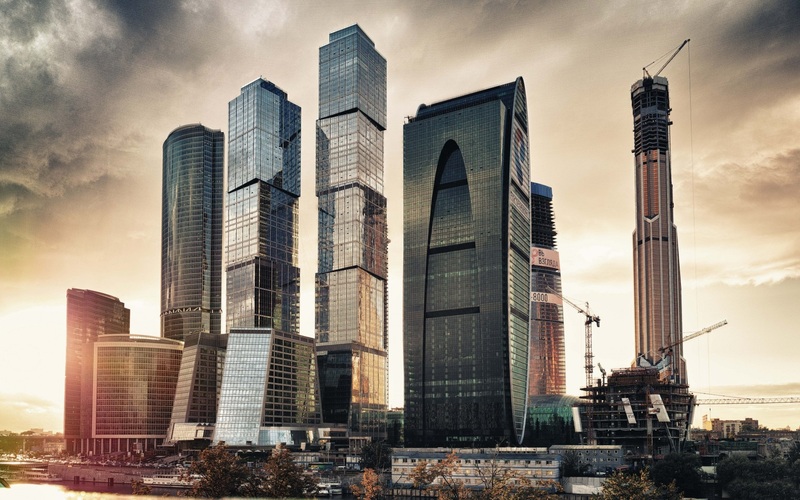 But a paper published in the Studies in Higher Education by Maria Yudkevich from the National Research University Higher School of Economics identifies inherent challenges to Russian ambition. Russia’s higher education system has undergone dramatic changes over the last two decades. In the past competition, restrictions and social status prescribed whether one went to university. Universities selected young people into fields identified as national priorities – not demand among high school students for those professions. The centralised system also decided issues such as graduate job placements and education standards. The collapse of Soviet Union dismantled the old system. Liberalisation ended a state-planned economy sparking a brain drain. Things have now changed. Private education is flourishing. Share of people attending universities has risen. Quality of universities is increasing. “State control over many aspects of university performance has gone”, suggests Maria Yudkevich from the National Research University Higher School of Economics, “leaving this function of external control to no one”. “Old forms are still there but they lack former substance, thus ceasing to be functional and becoming destructive instead”, Yudkevich says. This is worrying the Russian government. And the inability of Russia’s universities to compete in international rankings is a concern. Such a concern has sparked an aggressive shift in government policy. Moves are underway to regulate and rehabilitate low-quality institutions. Closure of institutions admitting low quality students have even become an option. Merging weak institutions with stronger ones is another option. Increasing salaries of academics to attract high quality professionals is also mooted. The Government is pushing to strengthen its higher education system and focus on internationalisation. Recently it launched an ambitious new scholarships program to help increase the number of scientists and connect them to the global research network. It will spend A$137 million to fund up to 1500 Masters and PhD students over the next three years (2014-16). The scholarships are part of its global education agenda to bolster international research collaborations. This includes propelling five of its universities into the top 100 world university rankings by 2020. Already the Ministry of Education has selected 14 universities awarding special funds to transform management practices, increase research intensity and engage with foreign institutions. Building a US$3 billion high tech city, Skolkovo near Moscow is another major initiative near completion. Twice the size of London’s Olympic Park, Skolkovo will host a brand new elite, English Language graduate and research university, Skoltech, created in partnership with the Massachusetts Institute of Technology (MIT). Russia is paying MIT $300 million for its service. Yudkevich points to a number of challenges to Russia’s higher education ambition. Low academic salaries are forcing staff into side jobs. Philip Altbach from Boston College in the United States agrees. Teaching staff salaries in Russia are one of the lowest in the world (assessed at purchasing power balance). Low salaries are also leading to talented staff leaving the university sector. Moreover, talented university graduates are less interested in academia. Academic culture that encourages inbreeding-favouring academic norms is holding institutions back. Yudkevich says that inbreeding is impacting employment policy. “It reinforces the locally focused academic culture especially in teaching and research”. Academic feudalism is another challenge. It has become a key feature of the system. Such practice according to Yudkevich, limits staff and student mobility between universities. Universities are keen to keep their best students until graduate or PhD levels. Another challenge is the quality and competitive abilities of teaching staff themselves. According to poll data, members of teaching staff usually show a rather high self-esteem when it comes to both teaching and research skills. But Yudkevich notes at the same time, external evaluations give an opposite result. Productivity survey data results are not optimistic either. Staff tends to publish more locally. And they publish mostly in local university journals and rarely go through any reviewing process. Vladimir Pislyakov and Elena Shukshina from the National Research University Higher School of Economics express similar apprehension pointing to low presence of Russian researchers work in databases like Web of Science or Scopus. Pislyakov, Vladimir, and Elena Shukshina. 2012. “Measuring Excellence in Russia: Highly Cited Papers, Leading Institutions, Patterns of National and International Collaboration.” Proceedings of STI Montréal. Accessed January 29, 2014.